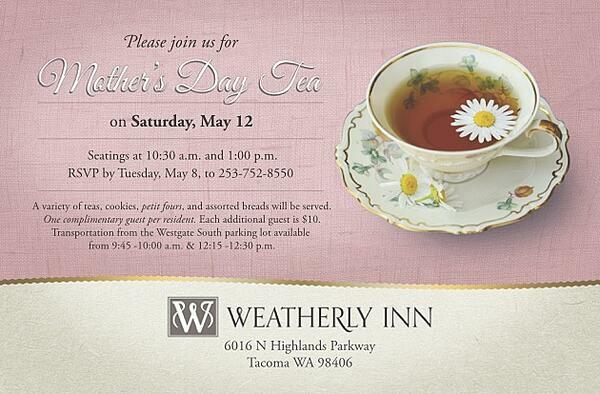 Please RSVP by Tuesday May 8, to 253-752-8550. A variety of teas, cookies, petit fours, and assorted breads will be served. One complimentary guest per resident. Each additional guest is $10. Transportation from the Westgate South parking lot available from 9:45 - 10:00am & 12:15-12:30pm.